Welcome to sound design at its finest. Our Audio Control room is equipped with virtually unlimited ways to record, mix and master your music, voiceover, podcast or audio. This room works in tandem with the Production Control room creating a seamless connection with live video production. 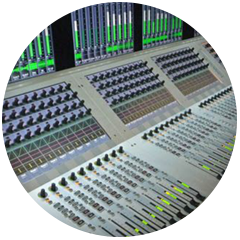 The Studer® Vista V™ audio console delivers powerful and flexible broadcast audio mixing, handling productions large and small with ease, with 5.1 sound and multiple inputs and outputs at the ready. Bring your own engineer (BYOE) or we’ll supply you with one of our highly trained specialists to edit and enhance your creation. Reserve our Audio Mix room and you’ll have the industry’s leading equipment and talent at your disposal. The revolutionary Pro Tools® S6 Console delivers premier sound mixing capabilities with an intuitive and intelligent workflow. 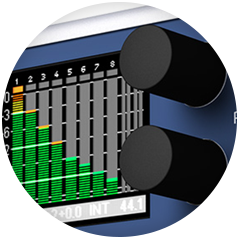 JBL® 5.1 surround sound monitoring, Waves Mercury Plugin Bundle and extensive patching capabilities allow you to connect and record throughout the entire facility. 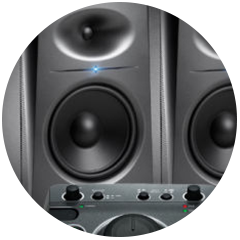 We pride ourselves on the sophistication of our work and are dedicated to creating sound that is nothing less than extraordinary. 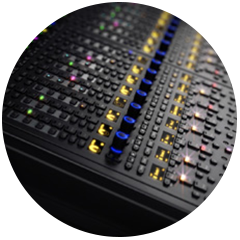 32 high-quality, motorized faders for live broadcast audio mixing solutions. 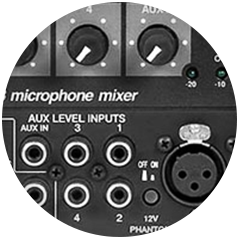 144 mic/line inputs and 48 line outputs. 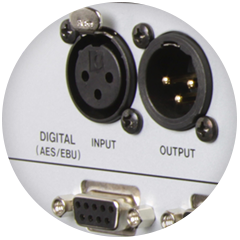 AES/MADI I/O providing 16 AES inputs and 16 AES outputs. 4 MADI interfaces each handling 64ch digital audio per link. Intuitive, immersive mixing for revolutionary sound engineering. 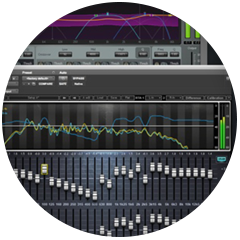 Provides extensive tools to optimize sound mixing options. Allows for room-size tuning and calibration.